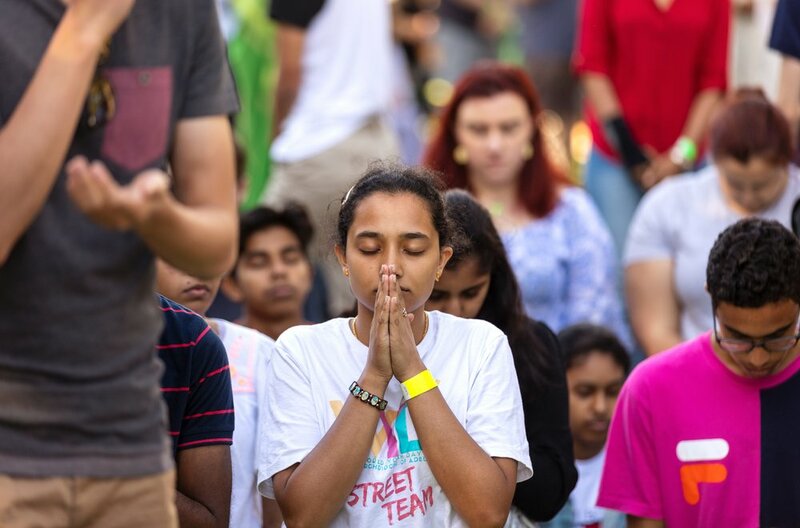 The following is a portion of the comments made by Peter Bierer, Coordinator of the Catholic Office for Youth and Young Adults, at the World Youth Day Adelaide 2019 Mass. Today we also celebrate the end of the Year of Youth in our archdiocese. The Year of Youth officially ended in Australia on the 25th of November, but we were having so much fun we decided to keep the party going. I just wanted to say a couple of things about the Year of Youth. When I began in my role as the Coordinator of the Youth Office I was offered this incredible gift of having a focus on the Year of Youth because it gave me something to do and think about, and it gave me an excuse to visit and to see the many wonderful things that are happening in our archdiocese. There have been a large number of events that have been planned by parishes, schools and communities. Youth masses, youth groups, trips, all sorts of incredible things have happened in the last year. And to echo what Sebastian said in his reflection, the answer they usually came to was not ‘what can we do for young people?’, but it was the revelation that young people need to be involved in the very essence of the life of the church at every moment of the life the church. So that young people are not just the recipients of a of a product that the church creates, but that they are the creators, they are the leaders, they are the ones who give voice and give energy and passion to the mission of the church, to the mission of God's people. It's what we've heard so much today, to change the world, because that truly is what we are called to do. Oftentimes we see a world around us that seems cynical, afraid, angry, disenchanted or bored. We are called to be a light in the midst of all of that. We are called to be people of joy. People who bring hope and love to every corner of the world, because that will transform the world. Young people, you are so passionate and full of energy about issues and topics; and you have such a drive to make the change you want see. The rest of us, those of us who are older, need your energy, need your passion. But we also need to listen and to let you be in the circle, to let you lead us and to let you take us to where the world needs to be. That's a large part of what Pope Francis has been calling on the bishops of the world to do with young people. The lead up to the Synod of Bishops was this long process of listening to young people. 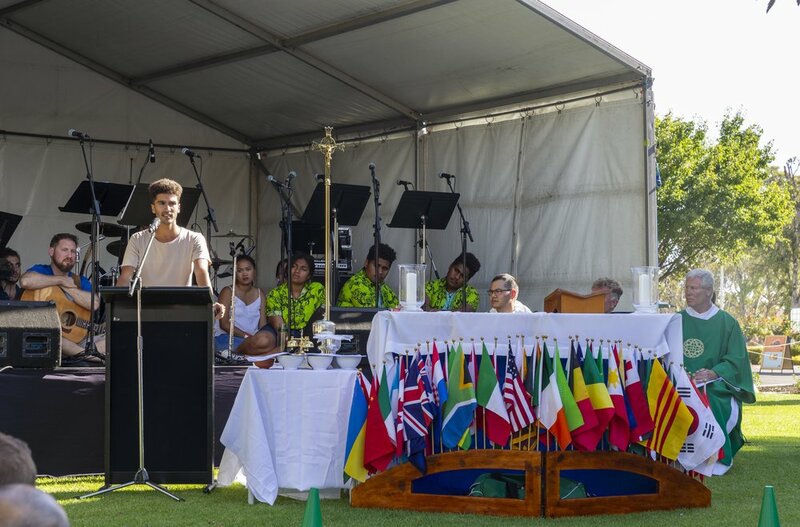 Here in Australia we've been given a unique opportunity by our bishops to continue that listening, and I want to challenge you young people to not just sit on the sidelines around this Plenary Council that's going to be that's taking place in 2020. But I challenge you in the next couple of months, before the listening period ends, to make your voice heard at every chance you have; around every corner, to speak love, to speak life to speak truth and justice and peace into the world and into this process. Let your voice be heard! Pope Francis reminded us, that by listening to young people we listen to the Spirit. By listening to young people we are listening to the Holy Spirit. I think what I'm trying to say is: you are a gift. A gift we need to unwrap, and to use, and to place at the center of our lives. And although the Year of Youth is ending, the mission, the goal and the long term road that we are traveling down with the Year of Youth is not. Those of us who are here to support young people, our challenge is to lift young people up in our communities, our schools and our parishes. To bring them to the center of the conversation. And to let their voice be heard in and among all the conversations, discussion and planning. Even the really boring stuff like finances, because it's really important and young people have a say in how money gets spent. Young people have a say in the hiring process of teachers, or pastoral administrators, or janitors. What does it mean to involve young people at every level? I'm really excited about what we're doing today. I'm really excited that we've got this great event, but I'm really not somebody who likes events. I'm somebody who likes the long road, who likes the journey. We've had this theme of pilgrimage. World Youth Day is a pilgrimage. A pilgrimage means we're moving from one point to another. And along the way we're learning and growing and we're changing. When we get from point A to point B we are no longer the same person that we were when we first set out. Although this is a wonderful day, it’s what happens next that matters. What will you do when you go home tonight. What change will you make in the world this week? This month, or this year? Where are we going on this pilgrimage? Where will it lead us? I can't wait to see where we go, because it's going to be awesome. Thank you to everyone who came to this day. All of you. Thank you for being here. All of our guests who came for Mass, we thank you for being here with us. Let's go out and make a mess of the world. "Going, Going, Gone" New Research from the US on Why Young People Disaffiliate with the Catholic Church. Last month new research about why young people are leaving the Church was released in the US. One of the co-authors of the report "Going, Going, Gone", John Vitek, was in Australia and presented the research at the Australian Catholic Youth and Youth Ministry Research Seminar. While the research was focused on American youth, there are many similarities with the Australian Church. 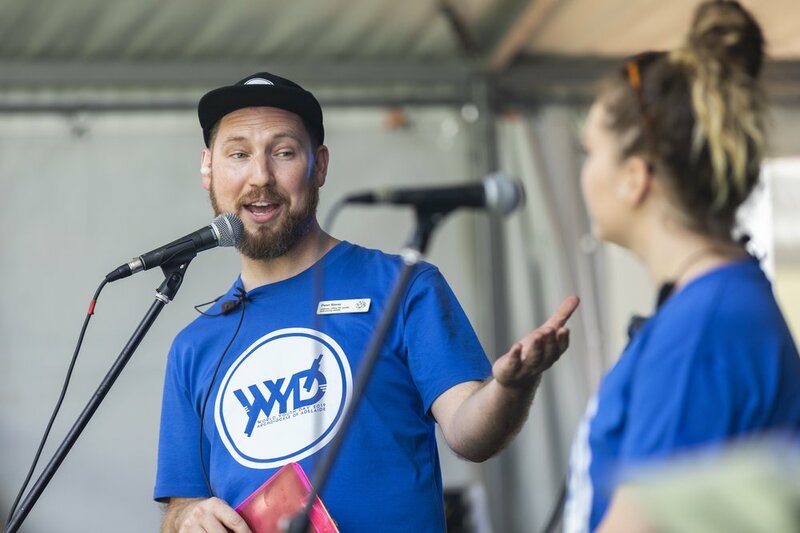 Last month we kicked off the Year of Youth in the Archdiocese of Adelaide. We didn't do it with a gigantic youth festival, concert or rally. 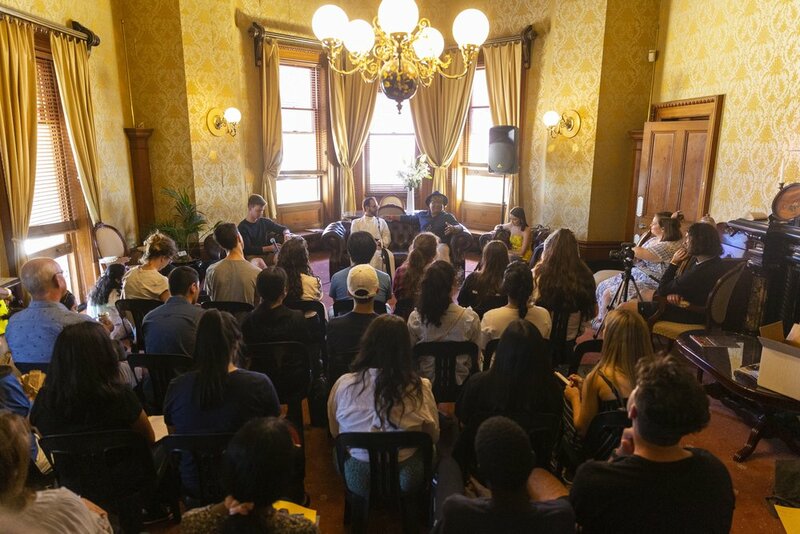 Instead, we gathered leaders from the Catholic Church in parishes, school, communities, agencies and other sectors to learn about the Year of Youth and the realities facing young people in South Australia. The 135 participants in attendance reflected on what they heard, conversed, and began taking steps to make responsive plans in their own contexts.